Smartphones have been incorporated into everyday life, which means it can be harder to protect it from viruses, hackers or damage. However, with our tips and tricks, we aim to make this much easier for you. If you follow our guide, your phone could last much longer than previous occasions as we help to protect smartphones. See: Mobile Phone Tariffs. We grab our phones out of our pockets throughout the day, sometimes we have a lose grip and drop it – most of the time the damage is minimal and we can continue using our phones. But, not all the time is the phone okay. To minimise the damage as much as possible, it is important to invest in a case that has been designed to protect it from bumps and scratches. The team at MDH suggest purchasing a tough case from Wrappz. Not only will this case protect your phone, but it could hold a special place in your heart as you can upload as many personal photos as you like. Design yours today. Screen protectors are used to protect the LCD screens of a mobile device – not only do they take the brunt of force upon the screen, but they have many other great qualities including being anti-bacterial, resistant to fingerprints and has the ability to prevent UV damage. Now most smartphones are fitted with Gorilla Glass that is resistant to scratching, however having a tempered screen protector can act as an extra layer or protection and can help keep your face safe from normal wear and tear. Contact us for more information. 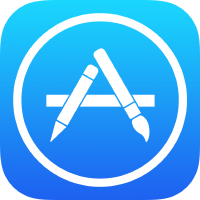 Only download apps from a trustworthy source – on iPhone’s this is typically the app store. Don’t download apps from third-party websites as this can easily put your phone at risks of viruses through malicious websites. We often receive junk emails with links in – but it is important that you do not click the link if it is not from a recognised sender. The link could direct you to a virus-infected website, therefore affecting your phone too.